A foolproof guide to saving your skin from unexpected sunburn, even in Lancaster! Has anyone else seen that big bright thing in the sky recently? That ball which scared the clouds away and made everything warm? Rumour has it it’s called ‘the sun’. Up until now I’ve been fairly certain that it was only an urban myth, that hot, burning sky light, but lo-and-behold, it turned up for an unprecedented amount of time and left us all pink and slightly stinging. So what options are we left with to cure the blistering? Aftersun seems like the obvious go-to product to cool the skin and reduce redness. Now I don’t know if you’ve bought any aftersun recently, but let me tell you, that stuff is expensive. Painfully so. However, if your sunburn still holds the top-spot as Number 1 Most Painful this may be the best option for you; better safe than sorry and all that. For those of us less tempted to fork over our hard earned cash, there are great, natural alternatives which will equally soothe and heal your skin, without bankrupting you in the process. Rose is always a good place to start if you’re looking for anti-inflammatory ingredients. 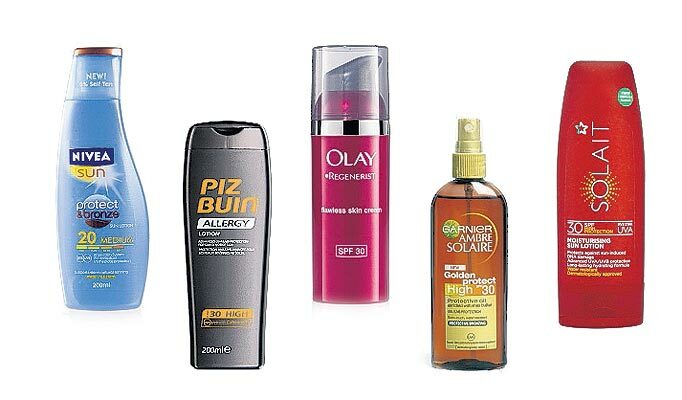 You can find it in loads of handy formulas, but rose oil and rose water are the best to apply to sunburn. It’s cooling properties will help calm down the skin and, as it’s an anti-inflammatory, it’ll reduce redness and help the skin as it heals. Honey is equally as beneficial. Its anti-bacterial, anti-inflammatory, anti-fungal, and humectant (meaning it draws moisture deep into the skin and keeps it there) qualities all assist in the healing process of painful sunburn. Look specifically for honey for skincare in places such as Holland and Barrett, rather than using the honey you spread on your toast. Potentially the most lauded natural ingredient to heal sunburn: aloe vera. It’s hydrating, which is ideal for parched skin that needs all the moisture it can get to heal quickly. It’s also cooling on the skin, which is of course appreciated when you feel like your entire body is on fire. Aloe vera is the perfect natural ingredient to see you through all the summer months. You can use aloe gel as a light moisturiser, grow your own aloe plant, cut off the leaves and soak them in water to make a lightly toning aloe water, ideal to keep in a bottle and use as a quick spritzer. Finally, there’s lavender. Its balancing properties mean that it’s often used as an effective spot treatment, reducing the redness and inflammation of spots. However, before the dawn of modern medicine, lavender was used by healers to cure burns, due to its soothing nature and anti-bacterial properties. Ideal as lavender water (you can even purchase lavender honey water for the perfect blend of two wonder-ingredients), you can apply it quickly to the body and is one of the few essential oils that can be applied neat to the skin, without the need for dilution or a carrying oil. So now you’ve learnt your lesson never to risk sunburn again, even in our dark northern town, at least you’re well equipped to bring your skin back from the brink and leave it glowing for the rest of the summer.